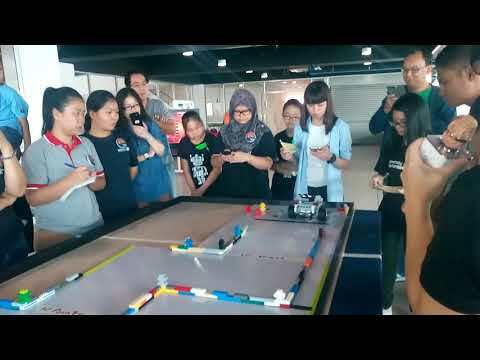 The Rotaract Club of INTI College Sabah recently organized a two days “Borneo Creative Robotics Challenge”, where primary school students from various schools in and around Kota Kinabalu had the opportunity to showcase their robotics design with Lego Mindstorms, on 7th & 8th October 2017. Held at Suria Sabah Shopping Mall in the state capital of Sabah, it was open to all primary schools here and had two categories – Primary (aged 6 to 9) and Advanced (aged 10 to 13). Altogether 33 teams from 11 primary schools took part in the robotics competition. The competition was jointly organized with CR8 Robotics Borneo, a Robotics Learning Centre situated in Metro Town, Kota Kinabalu.